Who knew one of the most exciting times in my life would also be the most difficult and terrifying? For most students, the transition from high school to college is a dream, but that’s not always true for a first-generation college student. I graduated from a performing arts high school last spring and started college in the fall. Although no one in my family had been to college, that was the only option I knew I had, along with working a part-time job. As a high school senior, I applied to five out-of-state and four in-state universities but was unable to afford to attend any of them. I wanted so badly to have someone to blame for this, but there was no one at fault. To be quite honest, I was ashamed of having no choice but to go to a community college. I had lost some of my motivation. For a while, I thought about not even going to college and just getting a full-time job. I did everything I was supposed to do, and did it right, so why didn’t I belong at a university? Come to find out, attending a community college was one of the greatest things to ever happen to me. But it wasn’t a successful endeavor right off the bat. I began going to school at Richland College, where I had hoped to get abundant advice, guidance, tips and tricks; I was wrong. That was such a discouraging moment for me. I expected more, and I still had no idea of the tools I required to be successful. Thankfully, I survived my first semester and passed all my classes. I decided for my second semester that I would attend Eastfield College because it was closer to home. Here, I was given the assistance I had been longing for by an adviser named Lamont Blackman. He took the time to provide an in-depth explanation of everything I needed to do and also told me why I needed to do it. After our discussion, I felt like a weight had been lifted from my body. My entire outlook instantly changed. I knew now I had the knowledge and confidence to achieve anything. 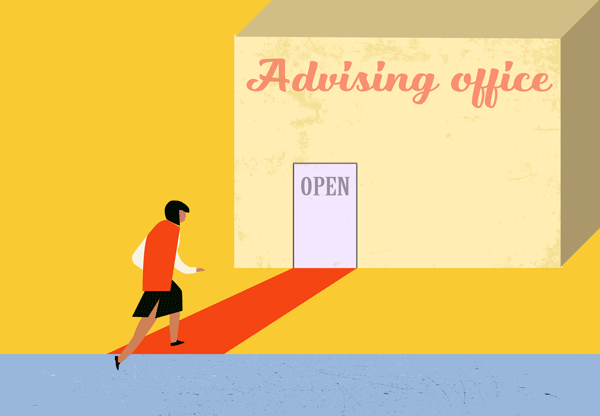 Blackman is precisely the type of adviser every first-generation college student needs. I hope advisers at community colleges, as well as universities, will start to realize how much help first-generation college students actually do need. Hopefully, they will go that extra mile in ensuring that they get that help. Having the opportunity to attend college is a blessing in itself, and we must make sure these students do not slip through the cracks. That is so awesome Lauryn! Good for you. I am so happy everything is going so well…congratulations! You are such an inspiration to many young adults.